Whether seasonal or themed, privately or for your company, Flores y Amores delivers the perfect event floristry for your project. With our event floristry we like to make an impression and leave your guests with a lasting sense of having experienced something special. 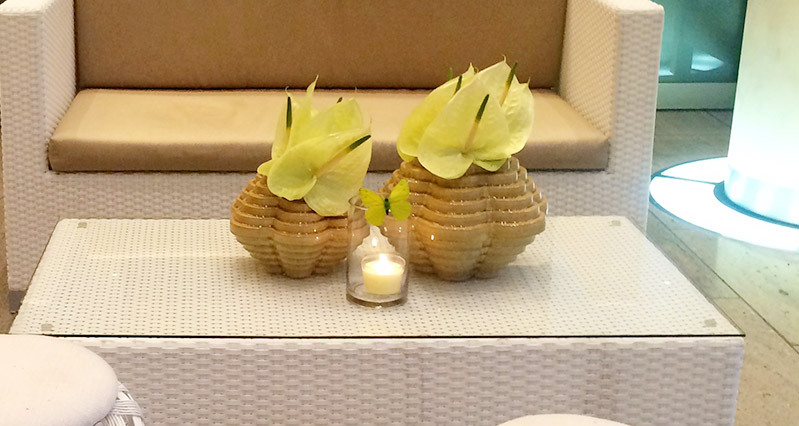 Flores y Amores offers more than standard, ready-made solutions. 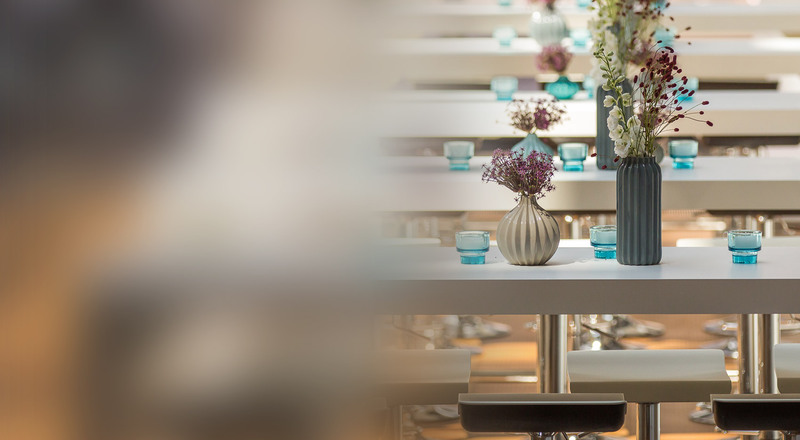 We offer concepts put together especially for you; concepts with a uniform theme from the flower-adorned entrée and dashes of floral colour on the tables to the perfect decoration in the bathrooms. As we advise and plan events, we always stay tuned to our client’s wishes. We also approach the work of delivering, setting up and packing up with great professionalism. We might not always know all the botanical information about a flower with 100% certainty. But you can rest assured that we do know with 150% certainty which floral decoration is the best match for your event. 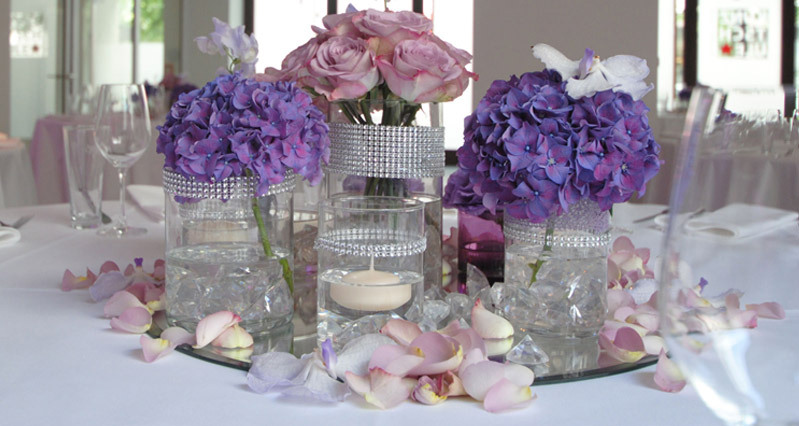 We will choose the flowers that perfectly reflect your brand identity or that suit the theme of your event. With our aesthetic expertise and our instinct for important details, we love to break away from the stereotypes and clichés. But we always keep in mind the cultural significance of flowers to ensure that our event floristry impresses. We love our work and that is reflected in the results we get. As soon as we take on a job, we get stuck in, work on the concept, plan the details and keep in mind the set budget at all times. Event logistics by Flores y Amores means punctual delivery by the requested time and individual support during the event. After a 14-hour workday with everything going smoothly, it’s not unheard of for us to get down on the wedding dancefloor in our flip-flops with big smiles on our faces. 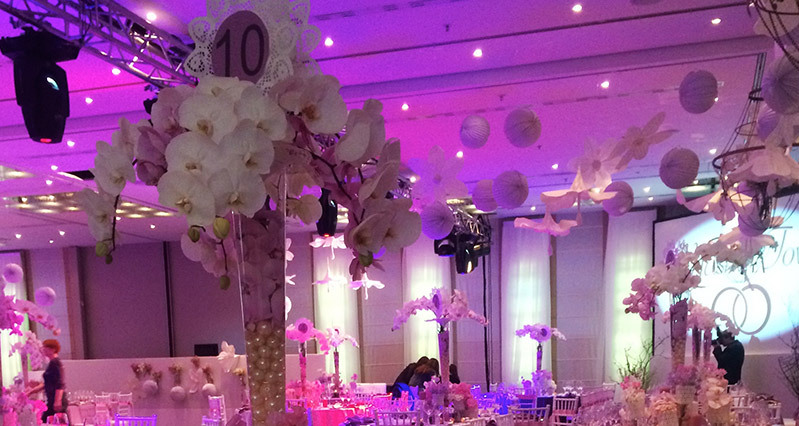 Thanks to the hanging decorations made from 4,000 orchids, no one’s ever been looking at our feet anyway.